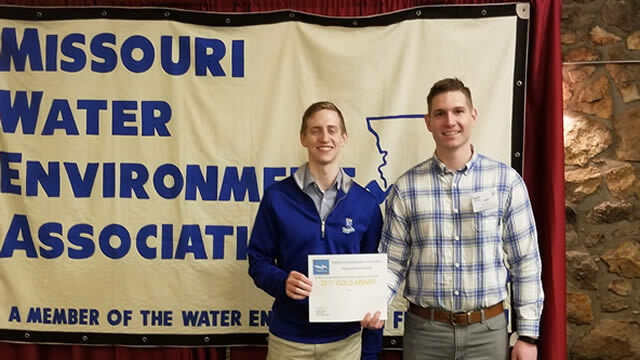 Faultless Healthcare Linen recently received Gold Awards from the Missouri Water Environment Association (MWEA) for all three of its Missouri facilities, according to a news release. To receive the Gold Award, companies must be 100% compliant with all pollutant limitations and permit requirements, and have all reporting completed and submitted to the POTW (publicly owned treatment works) on time. The awards ceremony was held at Tan-Tar-A Resort at the Lake of the Ozarks in Missouri on March 26. Seth Morrison, staff engineer, accepted the award on behalf of Faultless Healthcare Linen.